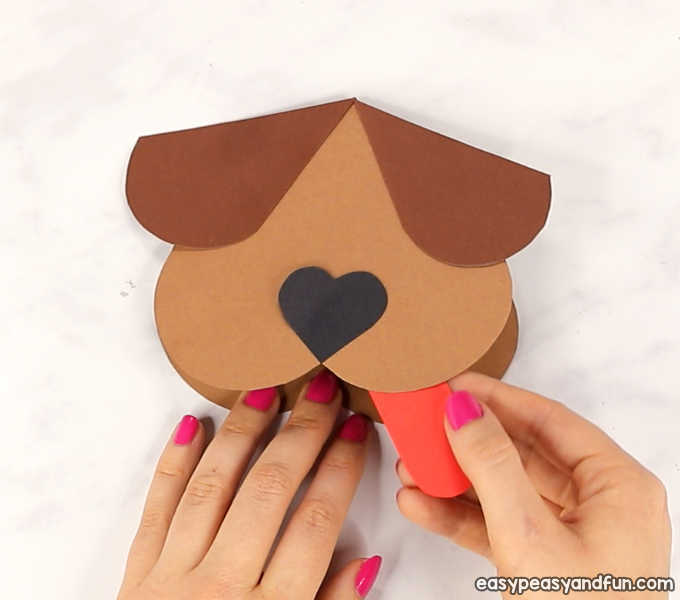 If you ever wanted to say “I woof you” to someone, this heart dog craft is perfect to relay that message. 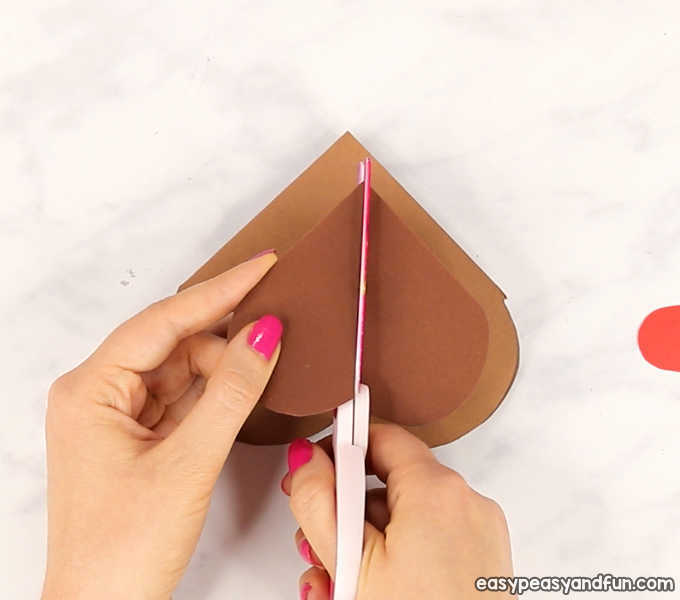 This simple Valentine’s day card is really easy to make and consist mostly of heart shapes – so it’s perfect to spread the love with. 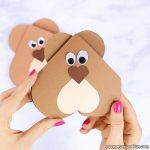 Heart shaped animals are really easy to make, and you can make a wide variety of different creatures (we already made a few and love each and every one of them). 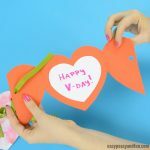 If you are planning to do some Valentines day crafts in with your kids at home or in the classroom with your students, this one is simple enough and is guaranteed to turn out pretty great. 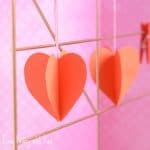 We even have a template to make the process easier as it takes out the guesswork when it comes to sizes of the hearts. Print out the template. 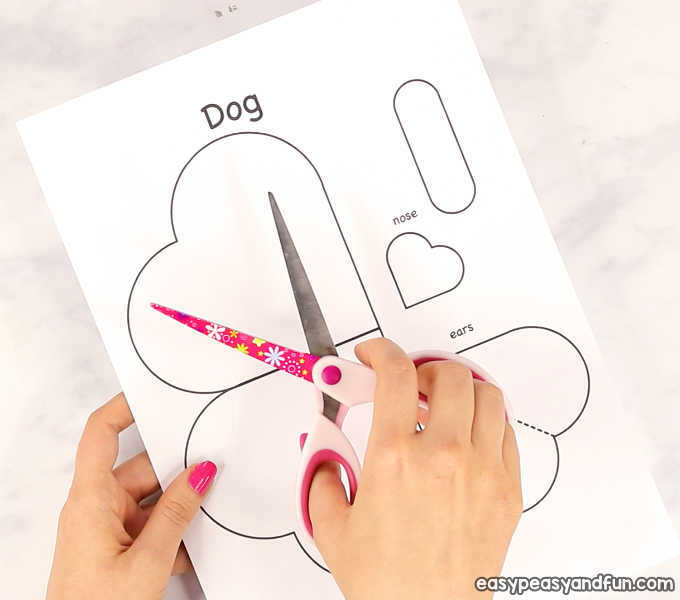 If you are using coloring supplies, have the kids color in the template parts first. Cut out all the template pieces. 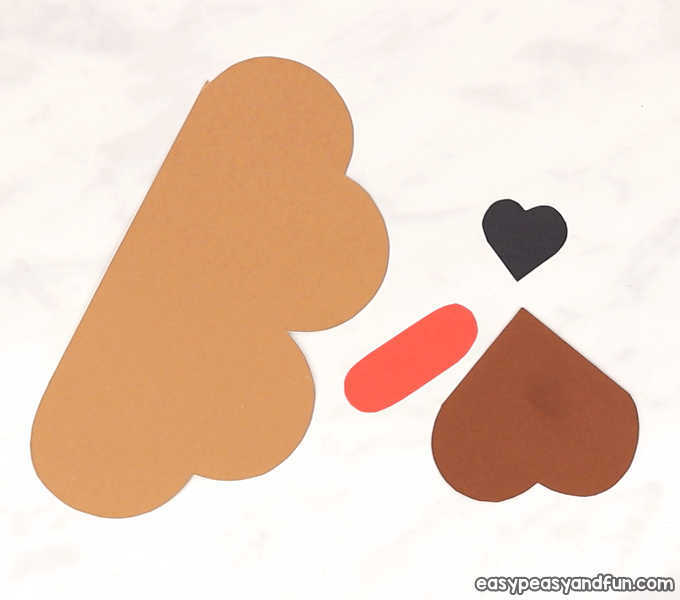 Trace the two joining hearts on construction paper. 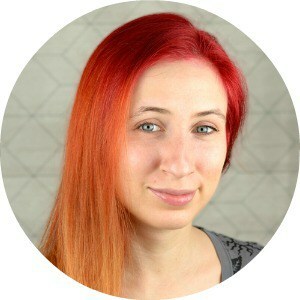 This will be the dog’s head – we choose a light brown color. 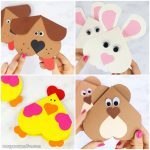 Trace the middle heart on construction paper – this will make the ears – we choose dark brown for the ears. 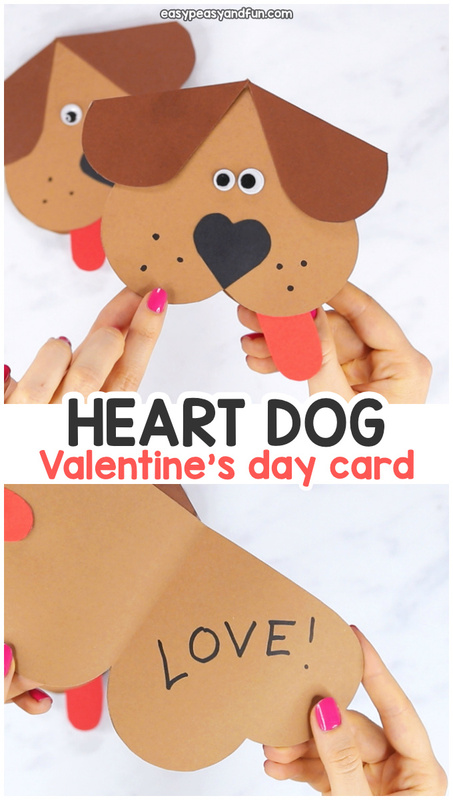 Trace the smallest heart on construction paper – we choose black as this makes the nose. 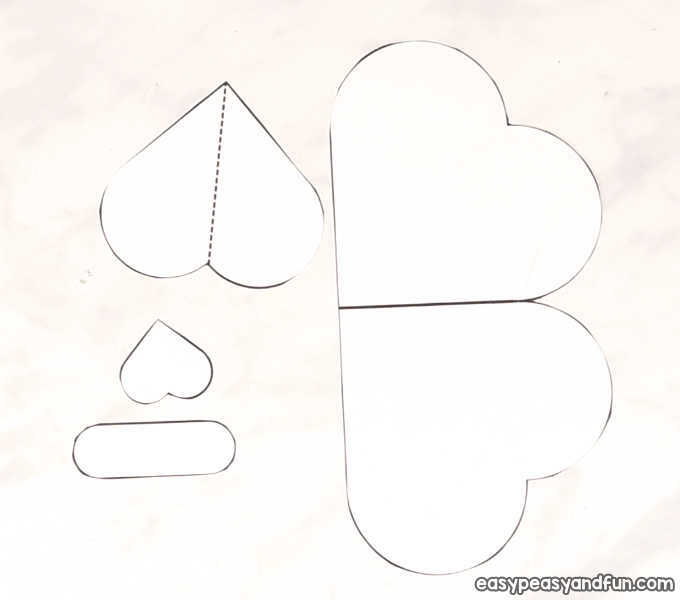 The last part to trace is the tongue. 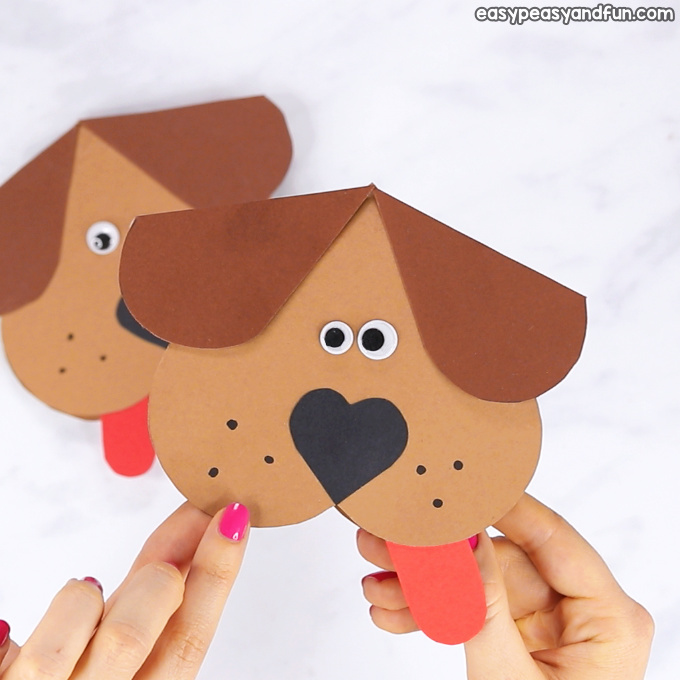 If you want to make this craft all about hearts you can skip the tongue, although we think it looks super cool. 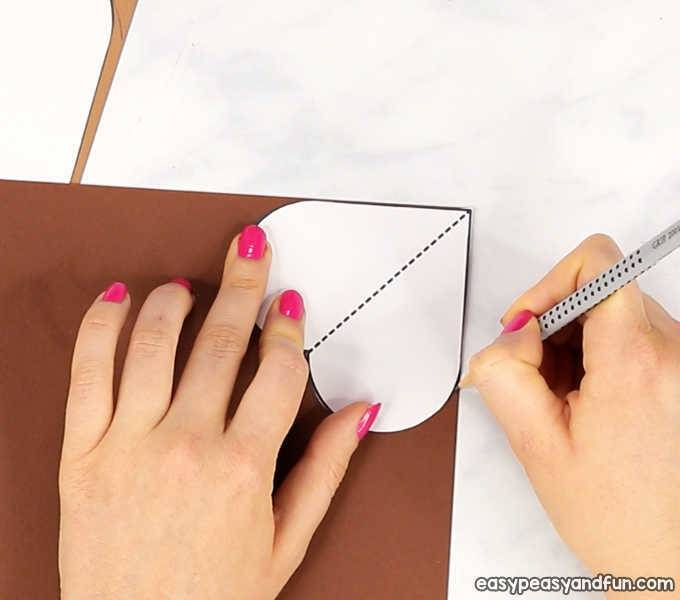 Cut out all the traced shapes. 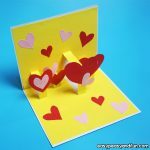 Fold the two joined hearts in half to make the head card. Cut the ears in half. Stick them on the head. Stick the nose on the head and tongue inside the card. 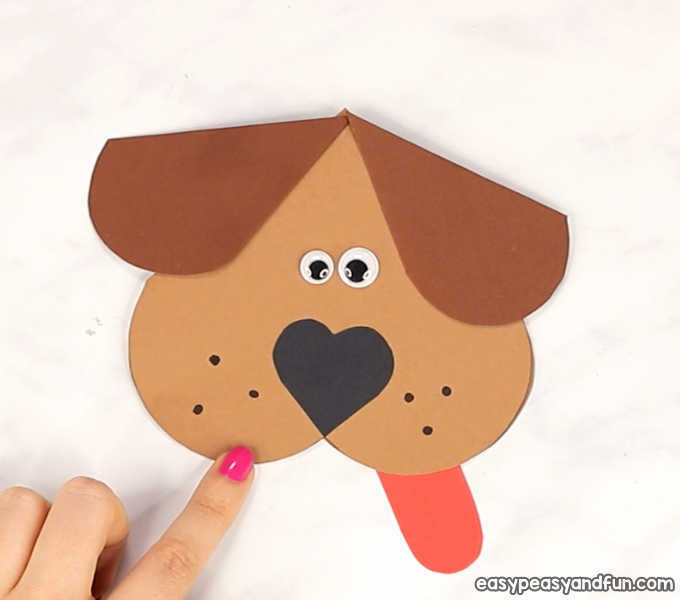 Draw a few spots on the dog’s snout and draw the eyes or glue a pair of googly eyes. 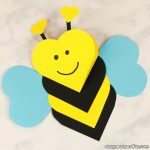 Write your note inside the card. 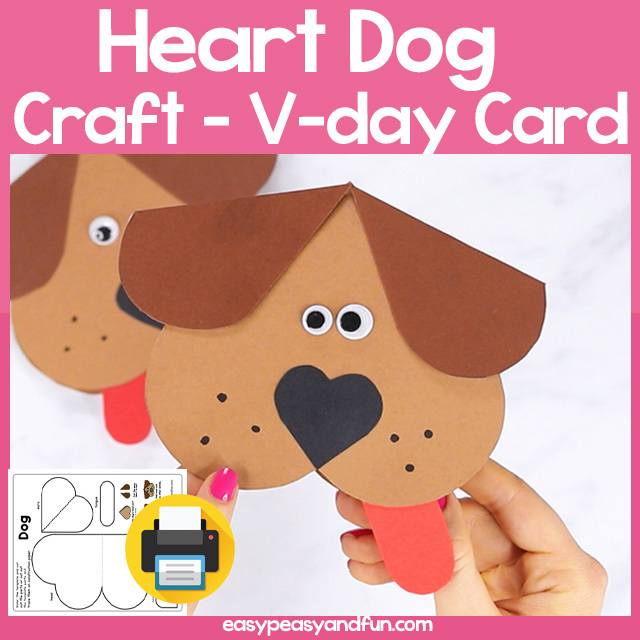 Your heart dog craft is ready to be given to someone special.